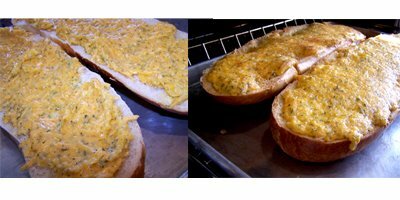 Easy Cheese Garlic Bread: Forget the Pasta! Crap, we have to leave for Little League in 45 minutes!!! 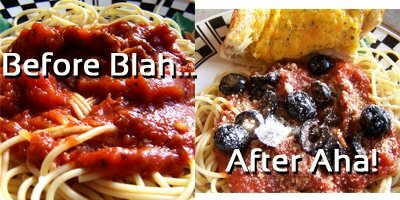 Talk about taking the BEFORE Boring to Za-Zing AFTER! Slice it in half length wise. Then load those babies up on a cookie sheet. Melt the butter in a small glass bowl, add the cheese and stir a bit, add the rest of the ingredients and spread on both sides of the bread. Turn the oven on to Broil, and place the bread on a lower rack for about 7 minutes or until slightly browning and bubbly. Slice it up and YUMMY it up. We totally eat these the next day for lunch, forget the spaghetti at that point, who cares! Enjoy more MouthWatering Mondays at ASouthernFairyTale! You are currently browsing the archives for the easy cheese garlic bread category.